JOYLONG's technical support team is work through professional consultation, exquisite technical support and rigorous work attitude, to provide you with the comprehensive feasible high quality and standard solution in order to constantly meet your needs, and finally achieve satisfactory results. 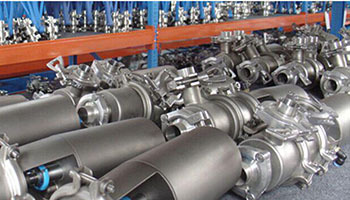 JOYLONG through the own established system that have efficient mechanism, worldwide service and excellent supply network, ensure the spare parts and materials' demand and consumption of the clients in production activities. 1. After your acceptance on our milk and beverage production equipment, we will offer one-year free maintenance service. During this period of time, we will handle machine failures and damages, excluding malfunction caused by misuse. 2. If warranty time is out, charged service is also available covering spare parts supply and maintenance services. 3. To any problems, we promise to response within 48 hours and offer troubleshooting with 72 hours. JOYLONG wear-resistant parts are well known for good toughness, super wear resistant and longer service-life. We can offer high-strength spare parts, such as wire and cable, electrical control, pipe valves, the trough of the door frame, transmission device, operating platform, refrigeration systems, compressed air systems and steam system and etc. JOYLONG has been striding in decisive efforts to optimize your beverage processing solutions by offering complete dairy and drinks production lines as well as stand-alone equipment. Our food machinery has been designed and tested to the highest levels of quality and sanitation, thus offering the best performance. 1. You will have the shortest commissioning time before our milk and beverage production line is ready to rock. 2. 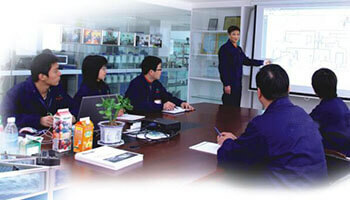 You will receive systematic training for smooth machine operation. 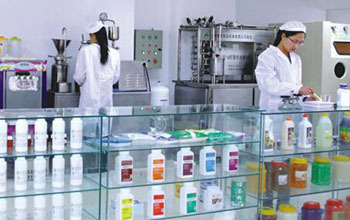 Our fully automatic milk and beverage processing line as well as filling line also deliver outstanding efficiency. 3. 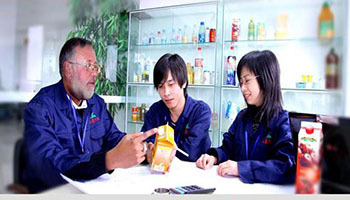 You will enjoy in-time repair service and scheduled maintenance.